SENNEBOGEN GmbH is widely recognized as the global quality leader in crane technology and material handling. Supported by more than 1,100 employees internationally, our engineering and manufacturing facilities in Germany and Hungary represent a truly unique approach to responsive service on a worldwide scale. 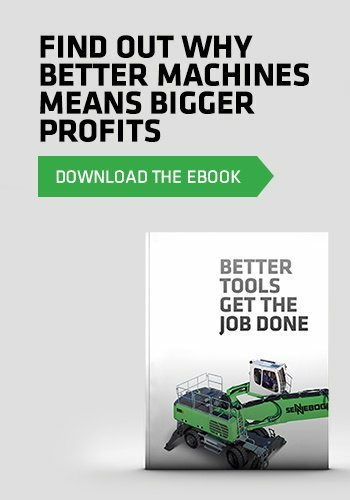 The distinctive green machines in the SENNEBOGEN product line-up are today’s most complete line of material handlers. Engineered with a high degree of commonality across all models and sizes, our flexible design concept allows us to configure and equip each machine to match the specific needs of every customer. SENNEBOGEN’s U.S. warehouse stocks a complete service and repair parts inventory for the full range of green line material handlers, from common wear parts to complete engines and booms.